Special offer: …. for a limited time any bookings made for our Level 3 Diploma in Advanced Personal Training or Level 3 Certificate in Personal Training will also receive a free PT health testing kit comprising of a Stethoscope, Sphygmomanometer (Blood Pressure Cuff) and Skinfold Calipers. 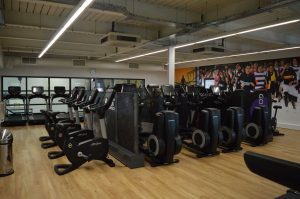 Incredible New Fitness Suite: the new Fitness Suite at our fantastic Tonbridge School Centre venue has now been completed. This has already benefitted our September Diploma course and proves to be a unparalleled environment in which both learn and train. Looking back to the article The Importance of a Good Breakfast from our Winter 2013/14 Newsletter, common issues that typically arise relating to this meal are a lack of ideas as to what to have and a lack of time to prepare. 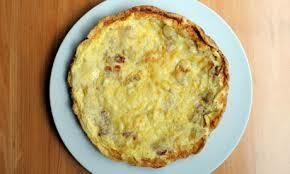 One option that addresses both issues in one hit is the almighty omelette. Not only is this a fantastic source of Vitamins and Minerals (A, D, Phosphorus and Selenium to name but a few) but its natural balance of healthy fats and protein will keep you satisfied until lunchtime (it can also serve as a very tasty lunch). Taking only minutes to prepare (how long does it take to heat a pan whilst beating a few eggs? ), you have an almost infinate number of variations depending on what you choose to add. Don’t be afraid to experiment, certain spices can add a whole new dimension such as chilli or cumin. Use 2 or 3 whole eggs depending on appetite and cook in a sizzling hot pan with a small knob of butter alongside the added ingredients of your choosing. As an added bonus, with a good pan, the clean-up afterwards should take mere seconds. Have you ever felt that the gains that you get from your training are not reflective of the time and effort that you seemingly put into it? This is certainly true of many gym-goers across the country and without doubt is a key factor causing people to give up. However some of the simple techniques that follow (often overlooked because of their apparent simplicity) can make all the difference in helping to focus your efforts and bring about results. Actually, to use the word simple is incorrect. For many of the following there are sizable bodies of study and science behind them and each can be used to varying degrees of intricacy from recreational gym goer to ‘elite’ performer level. However stepping away from the ‘elite’ level (who incidentally will use these techniques as a matter of routine) these should be simple to implement and if followed can have a marked effect on what you get out of your sessions both in terms of results and enjoyment. – Be Specific: Many will say ‘to get fitter’ however this can be interpreted in many ways, what does it mean to you? Run faster or further? Get stronger muscles or bigger muscles? Lose body fat (this may well come alongside any of the other examples)? Training is very specific in the results that it will bring about, so we must be clear on the desired outcome to ensure that we train in the correct way to achieve it. – Can it be Measured: State by what degree you are looking to improve. For example if you are looking to run a set distance in a set time, by how much is that improving on what you do now? If you can’t measure your progress you can’t tell if you are on course to achieving your goal. – Is it Achievable: Recognise that the greater the goal, the greater the sacrifice required to achieve it. Certainly don’t err on the side of caution and make things too easy however at the same time if you are not prepared/able to make the necessary sacrifices you will not achieve and that will render the goal pointless. – Be Realistic: account for the interference from external factors such as time constraints and other lifestyle related factors. – Set a Time scale: in other words set yourself achievement deadlines. Remember that a deadline that is too far into the future is hard to stay focused on, so be prepared to break the larger goal down into smaller stepping stones. At the same time don’t be unrealistic with what you can achieve in a set time. 2. Periodise your training – In simple terms this is just forward planning a progressive sequence of training programmes to get from where you are now to where you want to be, in the safest and most effective way possible. Manipulation of things like sets, reps, exercise choice, duration and frequency from one training programme to the next are key to progress. Many make the mistake of doing the same programme day after day, week after week, month after month and question a lack of progress. Your body is a quick learner, and after doing the same programme for a period of time (anywhere between 4 – 8 weeks on average) it will no longer make any changes. By periodising you ensure a frequent enough programme change to keep the body adapting and you moving forwards. Periodising should also ensure that you allow enough recovery. Your body is put under stress each time you train. This stress triggers development (provided it is applied in a progressive manner) however you must allow enough time for this process to take place before applying further stress. In many cases the adage ‘less is more’ holds true and there is distinct benefit to utilising rest days and lighter recovery sessions. If you are not sure about how best to train in order to achieve your goals, or which variables to change in order to progress a programme then any trainer with a reasonable level of qualification should be able to help. Certainly do not underestimate how useful and motivational a periodised plan can be (no matter how basic), initially it represents a blueprint for reaching your goal and the completion of each training phase represents one stepping stone closer to achieving this. 3. Be realistic with your training schedule – Linked in to the above points, consider how much time you have available to train (depending on goal you may have to re-prioritise certain areas of your life) and schedule around this. Simply put, if you set yourself a training programme that requires 7 days a week, 2 hours a day (I am certainly not advising this) what is the likelihood that you can sustain it in the long term? Consistency of effort is vital in achieving any goal, so plan accordingly. 4. Keep a Training Log – Record everything! Literally. Sets, reps achieved, weight used, times, heart rate, how you feel during each workout. All of this information can give you an insight into your progress from session to session and as such, should be recorded. At a glance you can see if you have improved on what you were doing last week, last month, last year, which in itself is extremely motivational. It is also useful to highlight if you have not improved, which can enable you to investigate the reasons for this and take corrective action. Your memory is good, however it may struggle to remember the finer details of one workout to the next. Progress within a training phase (and therefore reaching your goal) relies on making small improvements and increases week by week or session by session. 5. Keep a food diary – There are very few goals that are not also reliant on a healthy diet to support them. You may have kept a food diary for a few days before in order to highlight areas for improvement, however it is good to keep one on a rolling basis. This will promote greater adherence and also make you think twice about any potential temptations that may present themselves. The accountability of having to record everything that you eat and drink is an extremely potent motivator, even if you are the only one who will see it. Finally, make sure to monitor your progress and adapt if needed. Accept that you won’t reach your goals overnight so there is no sense in taking measurements on a daily basis. However a weekly glance back at your training log or food diary can be a good indicator that things are moving in the right direction and then perhaps undertake some more meaningful testing/analysis at the end of each training phase (4-8 weeks). Also remember that due to a range of unforeseen factors, such as a shift in focus, injury or lack of progress, goals may change/evolve and your initial periodised training plan may need adjustment. Certainly don’t be afraid to make changes, after all, a goal will only be motivational for as long as you still want to achieve it.